I am now closing this page and moving to the next year’s journal. I will compose a new article for the year ender report of the site. The article about Marcelo Centes gained the most number of visits – 192. Canyon Lata that I composed from my visit on December 2010 had 98 visits. This might be contributed to the fact that such article is quite interesting during holiday season, plus it’s linked with a Wikipedia article about noisemakers. In the historical home front, Sorsogon’s provincial museum and the De Vera ancestral house gained 91 and 51 visitors respectively. Finally, most of the visitors would also drop by the home page of the site. This means I need to improve the home page since this can break the visitors’ interest. Dios mabalos sa indo gabus na nagsoporta sa Sorsogon City blog! It’s interesting that one of the re-posts I did, about Marcelo Centes, is getting a lot of attention. So far, it has almost 250 unique visitors in the last 2 weeks! I don’t know any Centes in Sorsogon, but I do hope the re-posting of the article helps. It’s very interesting, so far November has the most number of visitors averaging 112 hits daily. It also had the highest hit in a day – 256 hits on 11/21/2011. The most popular post is the assassinated principal. This is also one of the reasons for the 256 hits, I think, on 11/21/2011. Interestingly, the Bicol songs – Kudut-kudutan and Baybayon sa sisiran – is part of the top 10 visited posts. What’s the plan this month of December? I hope I can go back on posting articles about Vicente Peralta and preparation for summer season. The latter is not about enticing tourists to come over, since I won’t have opportunities to visit tourist spots, rather to provide information going to Sorsogon. I think this is the worst month for the site since I can’t upload Sorsogon-related news on a timely manner (I have more than 5 articles on the queue). I am neck-deep with my job plus I was out of town for 1.5 weeks and couldn’t really publish articles. Hopefully, this will change next month. Last night, I joined my cousin for a bottle of beer at Pam’s (along Calle Nueva). It’s been a while since we met and we just wanted to catch up. He’s a prolific writer and talented illustrator. He’s also a current faculty member in the local college, covering Literature, History and English. I shared him some insights about this blog and what it can do to highlight the talent of the locales. I got his commitment to share some of his works (he’s composing an article about typhoon Sisang during the typhoon’s 14th anniversary). Mainly, we discussed the local talents that he know that might be interested to share their articles to the web. This was really an interesting conversation since this is one of the objectives of this blog site. By the way, the site’s stat is short of 4 hits to reach the 3,000 hits for the month of October. Not bad, and thanks to our readers! It’s just 8 days before end of the month. The stats is all time high. The site is just short of 250 hits and it will surpass the September hit rate. As of this writing, the ave. daily visit is 104 compared to 84 last month and 67 the month before that. Just last week, the weekly average hit is 112/week. That’s the highest so far. The challenge to the site owner is how to sustain it. As of the moment, there are no new series being launched, albeit the two – Orosipon and Vicente Peralta – are delayed. Can the Sorsoganons use it to advertise their wares to the world? What will be the model? How can the author identify such segment? What’s the impact if the author coordinates with the local government and have them leverage the site? Will they even listen (in relation to the mindset of kanya-kanya)? Where can the author start? Can the author tap the school papers to contribute about their activities? With these ideas, how can the site owner maintain impartiality? The author never really expected that the site will grow this fast. It just started as a hobby, and now there are several followers already. I just want to share my end-of-month update. It was an exciting month, not because it generated the highest so far, but really trying to keep up with the demand. I really thought the no. of unique visits will drop down considerably after a period without major contributions. Furthermore, I suspected that our readers wouldn’t like the re-posting of news articles, which I felt that I did more than generate original ones. Here’s the monthly trending of the Sorsogon City Blog in the last several months. September was the highest even though the author published fewer original articles. In summary, September was averaging 84 visits a day, compared to August which was at 67. It was a 25% jump compared to the August hit (unique visitors) volume. This searched terms really pressures me to start digging on those valuable materials about the late congressman Peralta. I owe it his family who shared with me the materials. PNR set to open ‘Bicol Express’ in mid-September (56 hits) – it’s very interesting that people still read articles about PNR. Personally, I take that as ‘hope’ of seeing the classic train service back on track. Tolonggapo Beach – A Photo Journal (38 hits) – when I composed this article, I never thought people will find it interesting. The pictures were taken via camera on my mobile phone. I am a photographer who never like to take picturesque sights, but rather, capture the view as how ordinary people see it. Sorsogon Delicacy – Baluko (35 hits) – this one is interesting. It’s so happened that my mother-in-law prepared Baluko one day (she knows I love this stuff, so is my wife) and I thought it would be interesting to share it with the readers. me to share information to our readers about Sorsogon’s famous personalities. I felt that Vicente I. Peralta is one of the very few. I am hoping that the younger generations would remind them that we have real politicians who really worked for their constituents and even well known and well respected outside the province! Canyon Lata (Kawayan) (30 hits) – this one is an opportunity-article, I would say. While trying to trace Cawayan River, I chanced to pass by a couple of teenagers playing with their cannons. It was the holiday season then. Since it’s very rare to have such pictures, I linked it with related Wikipedia article. This can explain the high no. hits from time to time. In terms of referrers (where the site can be found), Facebook is number one. This is because this site is linked to my account. So what’s next for the site, at least for the last leg of the year?? I have to start publishing articles about the late congressman Peralta. I am asking my friends about their experience during Sisang on 1987, the worst typhoon I experienced while living in Sorsogon. The last one, perhaps, visit PNR and check their plans for the future. I am also planning the summer series (I really don’t know how to do this since I don’t plan to be back soon). On the side, I will still continue the Orosipon series. I would like to thank all the guests who found the articles interesting and those who left some comments. Unfortunately, some inquiries cannot be addressed since the concerns are about provincial services. Please don’t get tired of providing feedback, such information serves as inspiration and points for me to do better. Just as I suspected, the ave. hits per day will decrease as long as I don’t increase the no. of content I upload and the quality as well. Lately, I am flooded with office works that the series for the late Vicente L. Peralta is delayed considerably. If it’s any consolation, I received additional materials from her daughter and grandson, including old pictures of the late congressman. I expect to be back on track on late September. In the last several months, I’ve seen a steady increase in blog hits. It peaked last month with an average of 68 hits per day. I did nothing new, except I ensured consistent content development and re-publishing of internet contents (some might call it plagiarism). This is the recent monthly blog hits information of this site. A related article is also published about the site’s progress. One thing that helped is linking this blog with Wikipedia, Facebook and Twitter. Though, I am not sure with the impact of the latter since I have very few followers. 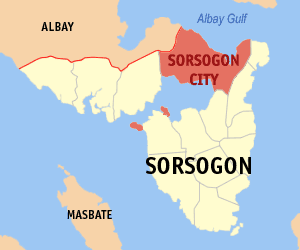 Besides, my twitter account is not exactly known for Sorsogon twits. It took me more than a quarter to build the hits, then, I hit a snag last month and this month – I didn’t put the same effort as before. Now I expect the ave. hits/day to decline. It will take me another couple of months to return the July level. *I normally use the local news update as filler since it’s very difficult to come up with original content. I was expecting that most visitors would click the original content from the side bar of the blog, containing all the Sorsogon news taken from Google News site. One objective of the local news is really to update our fellow, but wired, Sorsoganons, especially those living abroad. I would like to thank Ms. Irma Guhit from Philippine Information Agency, who seemed to have the energy to publish Sorsogon-related articles on a regular basis. **This one is interesting. But I surmised that our dear readers are interested who the author is. Is the author a credible writer? Is the author from Sorsogon at all? In this time of connectivity, one can have a different persona. But thanks anyhow for verifying the author’s credentials. ***These ones, too, are surprising. The pictures on the photo-journal was less than mediocre (a 2MP phone-camera, Nokia E63). But it seems that a lot of people wants to know about our beaches… and baluko?? ****I find this result very interesting because I only published two articles (which is just the firsts of the series). 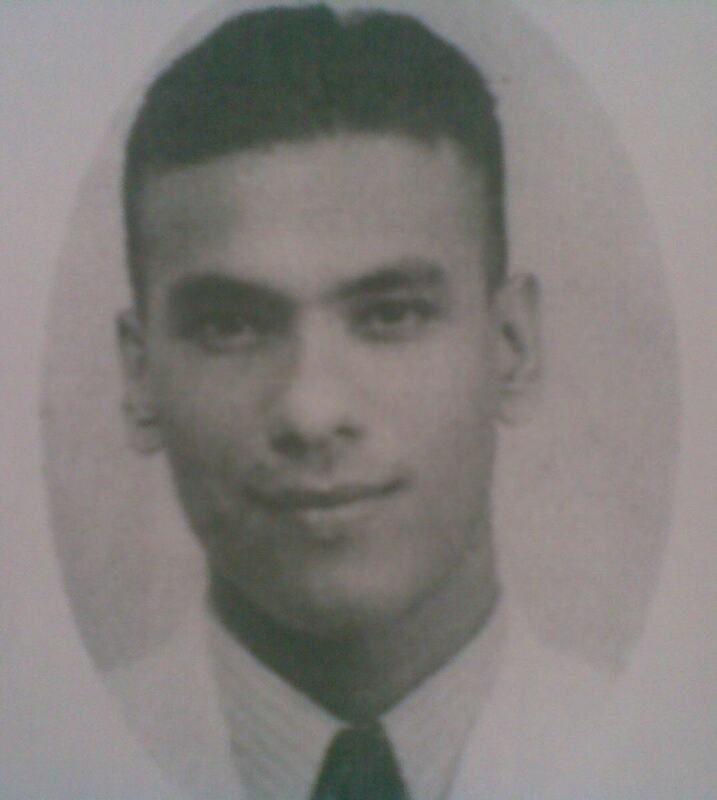 Furthermore, I received a comment of interest about the late Vicente Peralta, considering that the reader seemed to be on a younger generation. Here’s a related article on the increasing no. of visitors on the site.